Leigh Brackett was a Hollywood writer and a noted science fiction and fantasy author who was a regular contributor to various science fiction pulps in the 1940's. She was also a mentor and collaborator of Ray Bradbury. She was married to fellow science fiction pulp writer Edmond Hamilton for 31 years (until his death in 1977). In Hollywood, she wrote such films as The Long Goodbye, Hatari! and Rio Bravo. She also wrote the first draft of Star Wars: Episode V The Empire Strikes Back. Shortly after she completed the draft, she died after a battle with cancer. After her death, George Lucas decided that he did not prefer the direction Brackett's draft was going in. Lucas discarded it and wrote two new drafts with Lawrence Kasdan finishing the script. Brackett's original draft was not mentioned or referenced in the new drafts. However, Lucas felt that her name should be in the credits as a reward for her effort. To ensure Writers Guild of America (which determines screenwriting credit for the film) would award her the credit, Lucas intentionally did not submit his drafts. 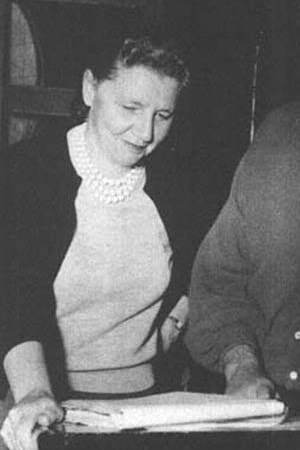 Leigh Brackett was a Hollywood writer and a noted science fiction and fantasy author who was a regular contributor to various science fiction pulps in the 1940's. She was also a mentor and collaborator of Ray Bradbury. She was married to fellow science fiction pulp writer Edmond Hamilton for 31 years (until his death in 1977). In Hollywood, she wrote such films as The Long Goodbye, Hatari! and Rio Bravo. She also wrote the first draft of Star Wars: Episode V The Empire Strikes Back. Shortly after she completed the draft, she died after a battle with cancer. After her death, George Lucas decided that he did not prefer the direction Brackett's draft was going in. Lucas discarded it and wrote two new drafts with Lawrence Kasdan finishing the script. Brackett's original draft was not mentioned or referenced in the new drafts. However, Lucas felt that her name should be in the credits as a reward for her effort. To ensure Writers Guild of America (which determines screenwriting credit for the film) would award her the credit, Lucas intentionally did not submit his drafts.